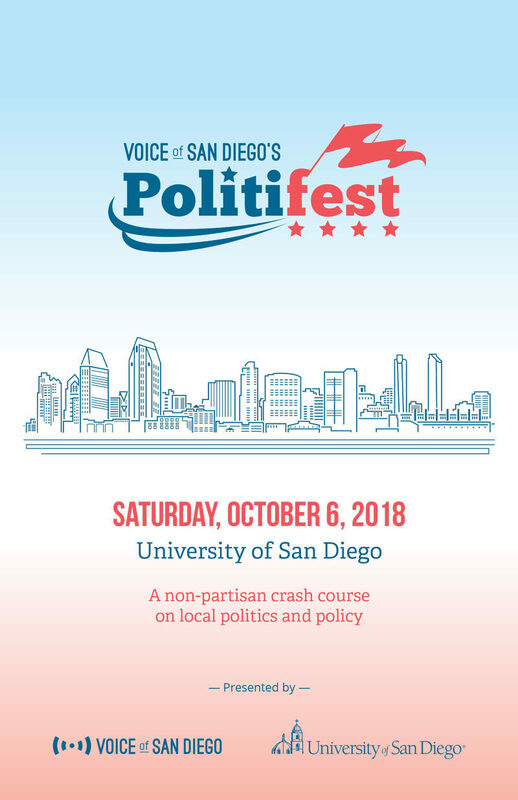 University of San Diego 12:00‑6:30 p.m.
Politifest is a San Diego public affairs summit produced by Voice of San Diego. The event focuses on the issues and candidates that will dominate the November ballot. We’ll have a full schedule of debates, panels and one-on-one interviews with experts, and provide a platform for residents to raise their voices, ask tough questions and delve into important issues. 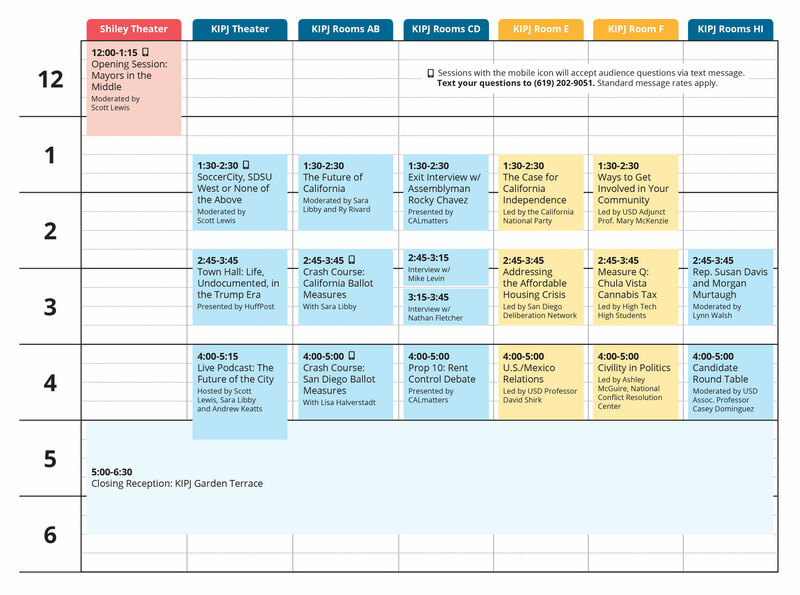 Politifest serves as a crash course in politics and policy, and provides insights into how our local government works. The Chargers moved from San Diego, and took part of its heart with them. But their departure created a golden opportunity to do something special with the Mission Valley stadium land that hosted the team for so long. San Diegans have three choices on this November’s ballot. Measure E would direct the city to sell and lease the land to investors who promise to bring in a Major League Soccer team, a park, thousands of homes and an entertainment district. Measure G would direct the city to sell the land to SDSU, which itself has outlined a plan for a new stadium, a park, a campus expansion and thousands of homes. Or, San Diegans could reject those options and insist on something different. Despite incredible economic growth, California is dealing with widespread poverty, struggling schools, concerns about public safety and justice and an extremely high cost of living. What will the state’s leaders do to grapple with these problems? What is the future of politics and what are the short- and long-term debates we’ll see in Sacramento? Three leaders from the state Legislature will get into it all. Hear from Assemblyman Rocky Chavez about what it means to be a Republican who supports an overhaul of immigration law, opposes President Donald Trump’s border wall, and bucked his party by voting for the cap-and-trade program. He’ll also discuss being the target of Democratic Congressional Campaign Committee ads that attacked from the right, and what he sees as the future of the Republican Party. More than 11 million undocumented people currently live in the United States, nearly a quarter of whom are in California. This panel explores what life is like for undocumented immigrants at a time when the president regularly vilifies them, the administration has made immigration enforcement a priority and lawmakers can’t agree on comprehensive immigration reform. Dive into the state propositions on the ballot, from gas tax repeal to housing bonds. Understand the pros and cons of each, and be ready to vote in November. Rep. Susan Davis has represented the 53rd Congressional District since 2001. Challenger Morgan Murtaugh is making her first run for office this election cycle. Come hear why each thinks she deserves your vote. 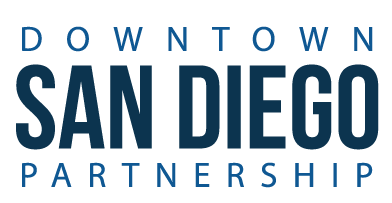 Voice of San Diego’s live podcasts have become riotous opportunities to see local leaders let loose a bit while also discussing important issues. 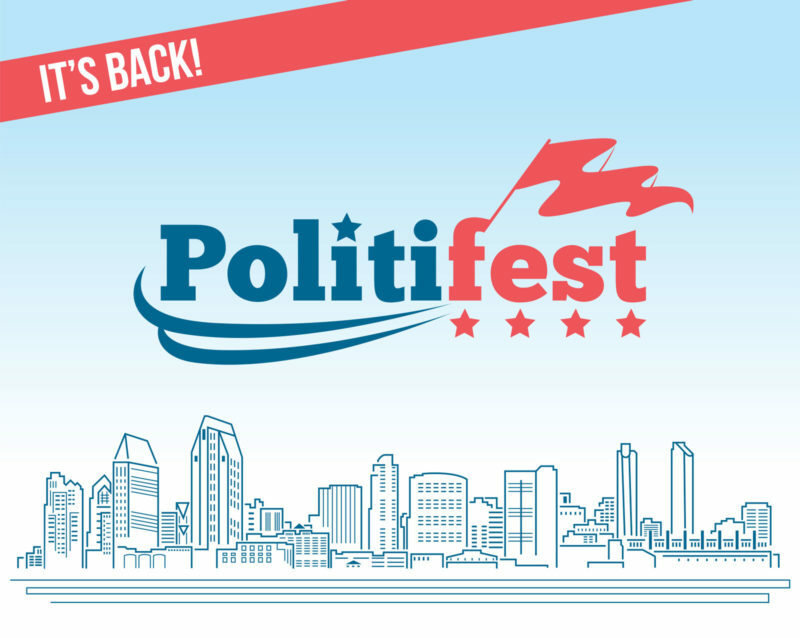 For this special cap to the Politifest day, we’ll have a discussion with three of the people rumored to be considering running for mayor in 2020: Rep. Scott Peters, Assemblyman Todd Gloria and Councilman Chris Cate. We will not, however, talk about the 2020 race at all. Not one bit. We will explore what the city is going to do about homelessness, infrastructure, police and public safety. Plus, some games with the audience. Dive into the local measures on the ballot, from the Mission Valley stadium site to city council term limits. Understand the pros and cons of each, and be ready to vote. Prop 10: Can Rent Control Do What the Market Can’t? California has a statewide moratorium on rent control laws. And cities are banned from applying existing rent regulation ordinances to new units. Now that the state is facing an affordable housing crisis, some housing advocates want to give cities a tool to put a legal lid on rents. Prop 10 would allow cities to introduce new restrictions on market rents or expand existing rent control policies. Seize the chance to meet in a small group with candidates for state and local offices. Come prepared to ask questions and get the inside scoop.